Vallarta · Nayarit is a cosmopolitan destination that hosts high-end attractions to meet the demands of residents and visitors who know how to take advantage of it. 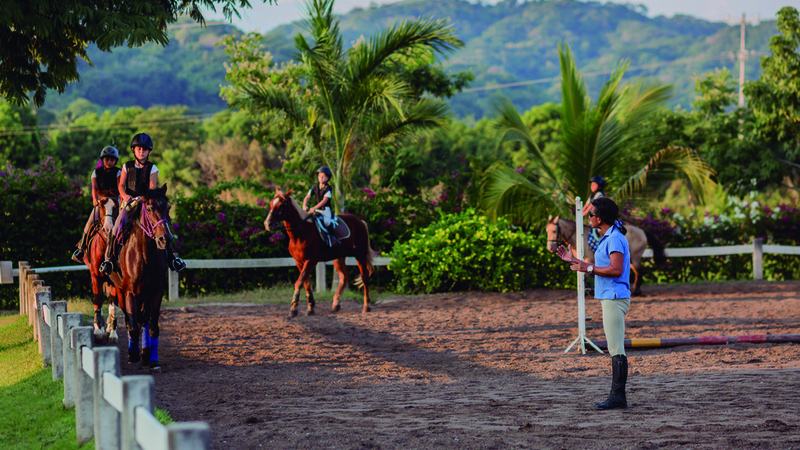 Those who wish to begin riding or improve their skills will be happy to know about Ecuestre Bucerías, the only equestrian club in the region that is registered with Federación Ecuestre de México (the Mexican Equestrian Federation). 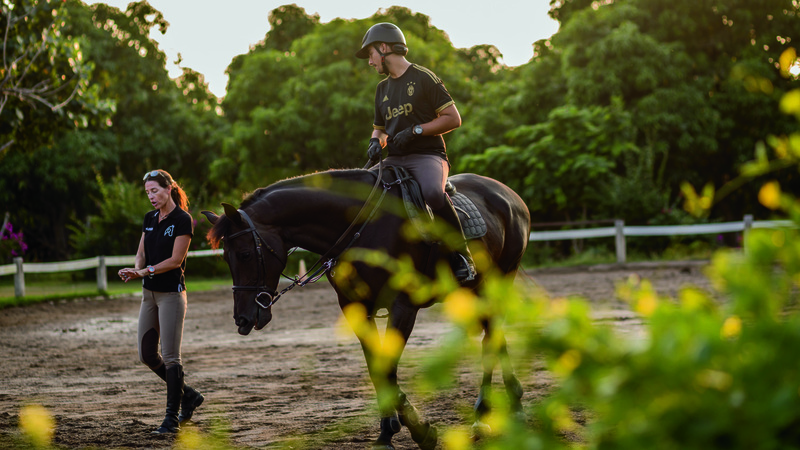 To learn more about this discipline and its benefits for the body, we talked with Ecuestre Bucerías owner and director Amandine Porte, who offered us a brief guide for beginners and what to keep in mind when starting. “To practice riding in any of its disciplines, we must take into account that it is a matter of interacting with a half-ton living being, a harmless animal—as long as man has not made it aggressive—that usually responds according to how we have treated it,” he says. The goal of riding is to maintain precise control over the horse, and it requires good care and grooming of the animal by the rider. At the basic level, the main thing is to learn to ride, but as you advance you can jump, race, herd cattle and participate in shows and dressage. To practice riding is to understand the horse, to try to improve as a person through a sport, a passion. You cannot be a good rider before being a good person. 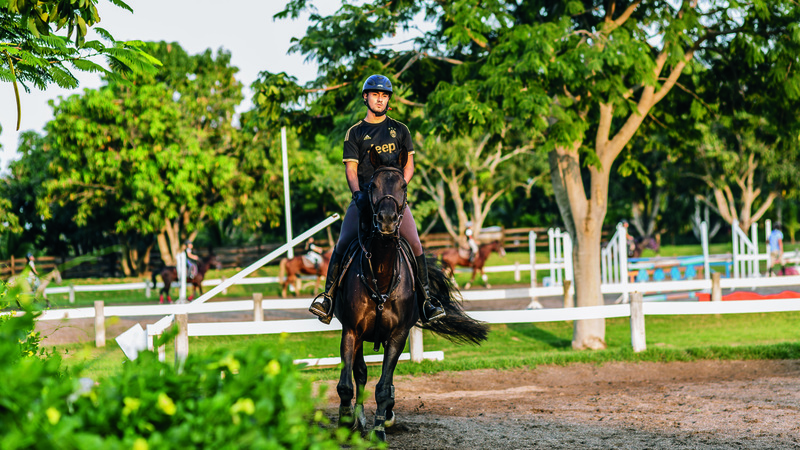 Riding is governed by the International Federation for Equestrian Sports and has been included in the Olympics since 1900 in the disciplines of jumping, dressage and eventing. 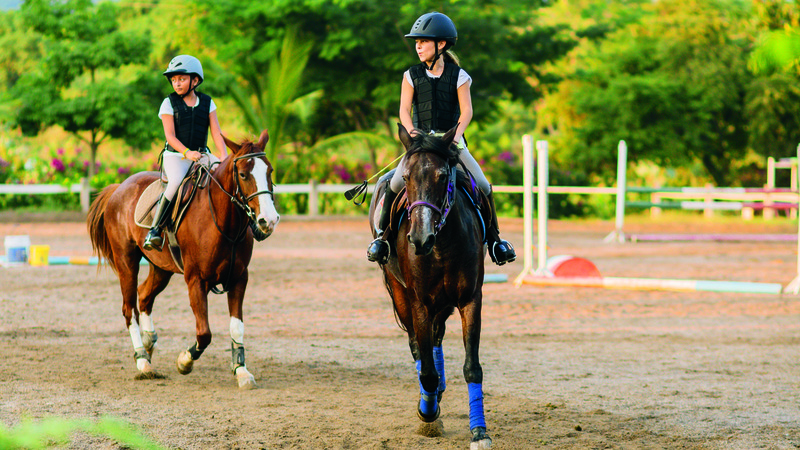 In addition to developing musculature in the legs, abdomen and back, riding strengthens joints and improves balance. This sport requires dexterity, decision-making, attitude, perseverance, time, dedication and, above all, great concentration. It also promotes socialization, enhances positive values and develops self-confidence, self-control and self-esteem. “We have seen a very positive trend in those who practice riding, because it becomes a whole way of life. You come for the horses and you end up finding something else. The atmosphere in the club has become very family-oriented; the parents of 60 percent of my students also ride. They began to come because of their children and curiosity, which became passion and spread to them,” he concludes. Riding can also be used for therapeutic purposes, since recreational riding helps to improve both physical and emotional health. 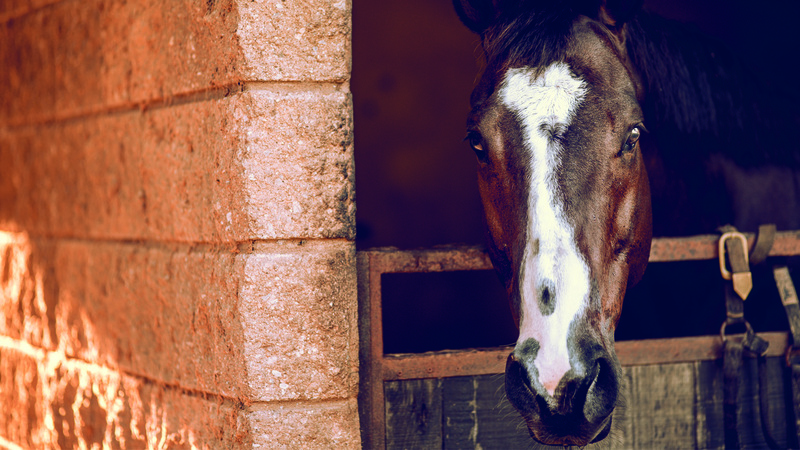 In addition to classes, they also offer boarding, sale of horses for all types of competitions and initial consultations to relocate horses from anywhere in the world. If you are interested in taking beginner’s classes, improving your skills or simply going to socialize, you can contact them at (322) 140-7625 or ecuestrebucerias@gmail.com. You find them on Facebook as Ecuestre Bucerías. The club is located on the old road to Valle de Banderas, in Bucerías, Nayarit.